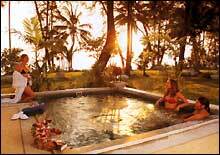 Pakarang Resort is your tropical heaven. Nestled below verdant peak on a private pristine beach, there is nothing to disturb your tranquility but the cool ocean breezes sweeping through the palms or the small waves breaking on the pearl white sands. 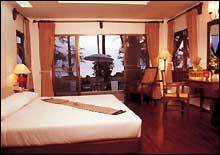 The ambience is all tropical Thai beginning with the accommodation provided the renowned Siamese smile. It will be an experience you will dream of repeating time and again. 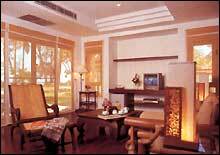 - A deposit equivalent to one nights room rate for each for each room reserved. 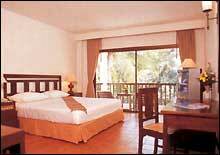 Pakarang Suite (12), another suite type with one luxurious bedroom and one living room that overlooks the sea and the garden. The bathroom is equipped with premium bath and shower. 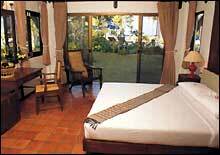 The Blue Village Pakarang Resort provides a variety of activities to make your stay enjoyable. 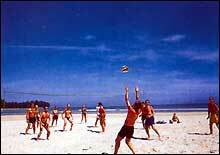 Our activities include tennis court, four nicely decorated swimming pools, water and ground sport equipment centers, and a diving center which provides diving tours plus educational programs. We have a club for children which has equipment and toys to keep them occupied. You can also enjoy yourself at our Spa, that has both oil and traditional massage service, sauna and fitness equipment. 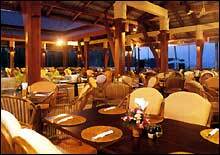 The Blue Village Pakarang Resort provides you with a large selection of restaurants. The Baan Pakarang Thai Restaurant serves Thai food, while the Cafe Similan will be loved by those who like an international buffet. However, if you desire a sea breeze in the evening during your fresh seafood dinner, you will never be disappointed at the Rak Talay BBQ.and Blue Beach Bar. For those who come in a group in search of a formal place for their functions, we have a conference room that can accommodate up to 80-120 people. 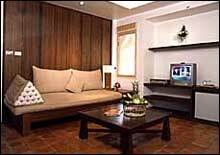 Moreover, at Blue Village Pakarang Resort, there are souvenir shops, a grocery store and a tailor shop. Blue Village Pakarang Resort is an environmental friendly resort with a strict policy on environmental protection and preservation. We make great efforts in reducing waste and pollution by using natural products and recycling treated water. 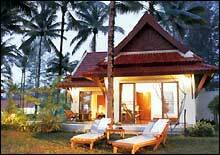 Only one hour from Phuket International Airport, Blue Village Pakarang Resort, a 4-star resort of 32 rai, is located on the well-preserved Pakarang Cape, one of a very few unspoiled beaches along Andaman sea in Thailand. Ideal for nature lovers, Pakarang Cape is famous for its long stretch of scenic beach filled with white powder sand parallel with blue sea, mountainous scenery and natural tropical rain forests. 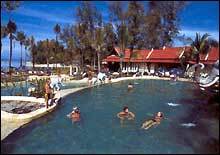 Blue Village Pakarang Resort is close to Khao Lak National Park well-known for its spectacular waterfall and within easy reach to Phang-nga Bay National Park, Similan Islands National Park, and Surin Islands National Park. Just 30 minutes away from the resort is an 18-hole golf course laid out along the coast line.